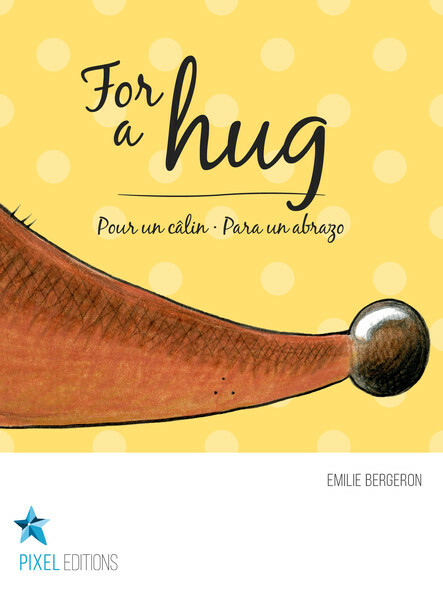 For a Hug is a touching story that promotes a harmonious relationship between a pet and a child. You will discover a cute and lively pet that has needs and must be given the necessary care. This story is offered with narration, and will appeal to small and bigger children! Will you discover the type of animal before the end of the story? Thanks to stories that are original and full of wisdom, the Apple & Confetti collection offers books filled with discoveries! In the last pages you will find questions, bonuses, and other surprises that will put into play the child’s memory, logic, and creativity. Our interactive stories, that are offered in French, English, and Spanish, are perfect for learning different languages. Let us amaze you!